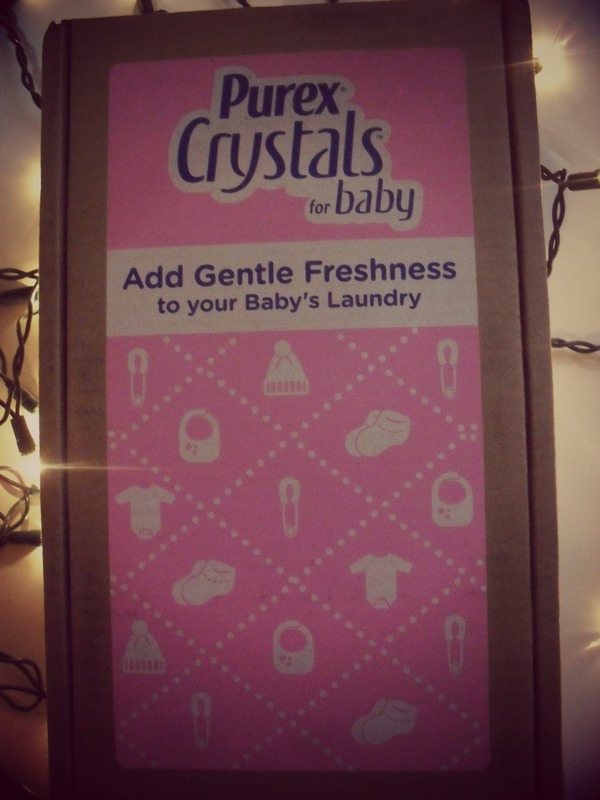 Purex Crystals for Baby Review and a FLASH Giveaway! I absolutely love Purex Crystals, I always keep some on hand when I’m doing laundry to freshen up my clothes. Purex Crystals are also great for keeping shoes and closets smelling nice, just put some in a cloth or unsealed bag and leave it in your shoe or wardrobe and in as little as a night it’ll smell fresh and clean! Recently, Purex came out with a new crystal product – Purex Crystals for Baby. Now we don’t have any babies at home right now, but I have skin as sensitive as a baby’s and Purex Crystals for Baby are completely and totally hypoallergenic. Plus, they’re made with an 87% natural formula, dye free, and even safe for children’s sleepwear. Personally, I love love love the baby inspired fragrance – I wish you could smell it through your computer screen because it smells sooooo good! It has a soft and sweet scent that I just adore! My sensitive skin will breakout in itchy splotches and I’ll start sneezing if it’s exposed to heavy heady scents, but with Purex Crystals and Purex Crystals for Baby I seriously have never had that experience. My family and I are firm believers that Purex is an excellent fabric softener that’s gentle enough for young skin, and older skin. And believe me, nothing has freshened up funky gym clothes or our more pressing ailment recently – stinky winter boots! 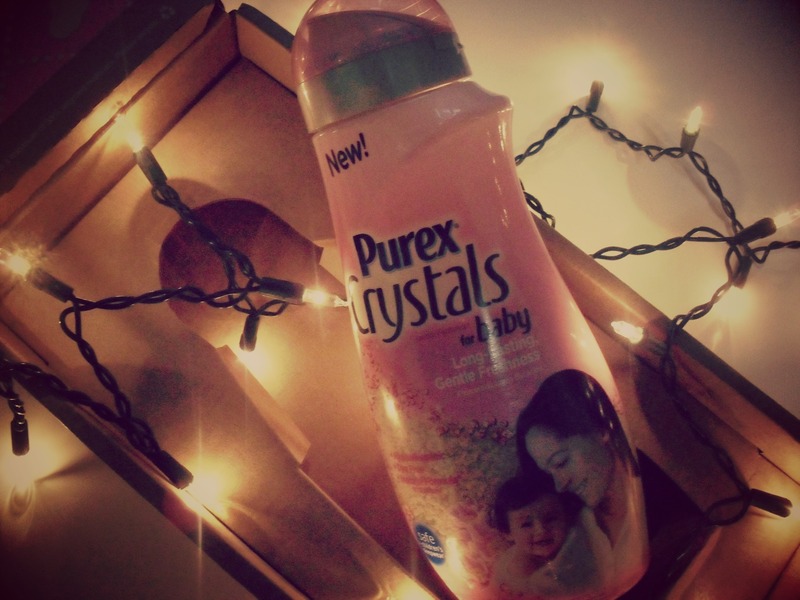 To find out more deets on Purex Crystals for Baby then click here! FLASH GIVEAWAY! From 3:30 pm to 8pm TODAY (2/8/13) The NYC Talon and Purex will be running a flash giveaway which means TWO readers will win a coupon for a FREE 28oz Bottle of Purex Crystals for Baby! 1) Leave me a comment telling me why you want to win. 1) Follow Purex on twitter, facebook, and/or pinterest – leave one comment each please! 2) Follow The NYC Talon via email, twitter, facebook, or pinterest – also, leave one comment each! 3) Share via social media (twitter, facebook, etc.) and leave a link for each share! *Purex provided me with a sample of Purex Crystals for Baby in exchange for a product review. However, all the opinions expressed here belong to The NYC Talon, and are not influenced in any way. Giveaway is open from 3:30pm – 8pm EST on 2/8/13 to US 18+. I would love to win because this sounds like to perfect softner for my daughter’s clothes and love that it has a soft, baby like scent. I’m following Purex on Twitter @lisalmg. I like Purex on Facebook user Lisa Garner. I want to win because I love Purex products! I follow Purex via FB. I follow NYC Talon via email subscription. I follow/like NYC Talon via FB. I’d love to win because my daughter has sensitive skin and I’d love to try it. I follow NYC Talon via Pinterest. We’re expecting our 4th child April 2. I’d love to use this to help prep clothes, bedding, etc. I’d like to win because we already use Purex for baby… I have kiddos with eczema and this is the only commercial detergent that doesn’t irritate them! I would like to win this so I can try it on my son’s clothes. My family would love to win this..we do so much laundry it’s crazy! following purex on pinterest, twitter, and FB!